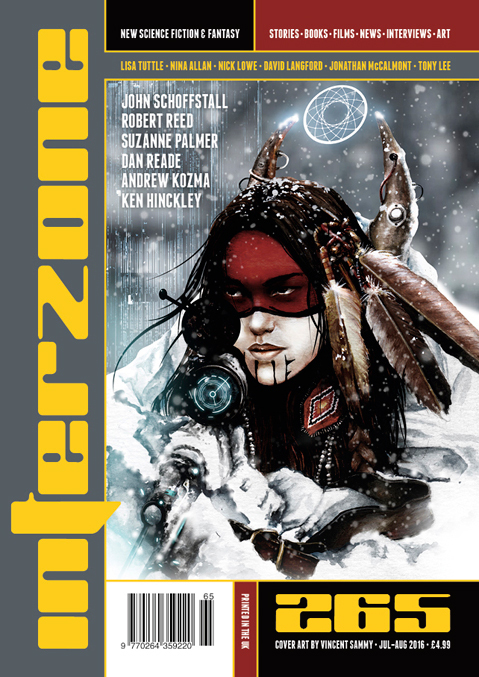 "Belong," by Suzanne Palmer [bio] (edited by Andy Cox), appeared in Interzone issue 265, published on July 16, 2016 by TTA Press. The situation is simply impossible to believe in. The totalitarian corporation, the casual killing (even though the story had just said that converts were accepted), the rejection of all questions. Even the name+number designations are annoying.